Mahindra Finance aimed at making their current car valuation training process more engaging, rewarding & a fun activity. With this in mind, current process was transformed into a Mobile Game with features like Tutorials driven training, Difficulty based challenges & Leaderboards within the organization. 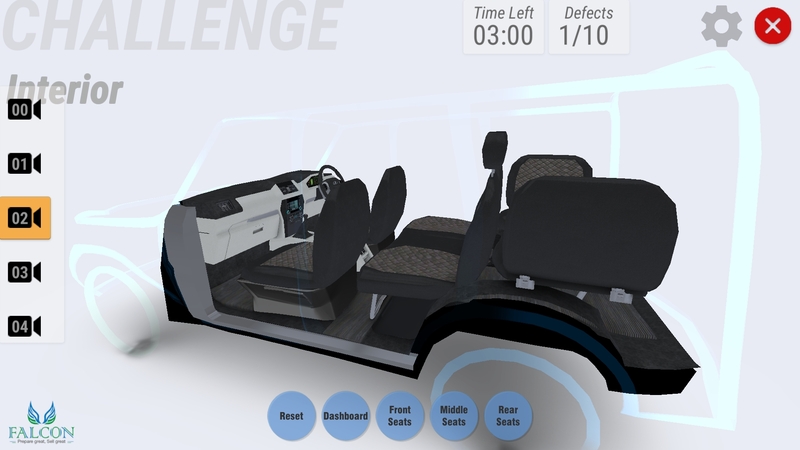 Application teaches user standard procedures of car evaluation in an interactive way. Basic training material & tutorials is followed by Challenges. 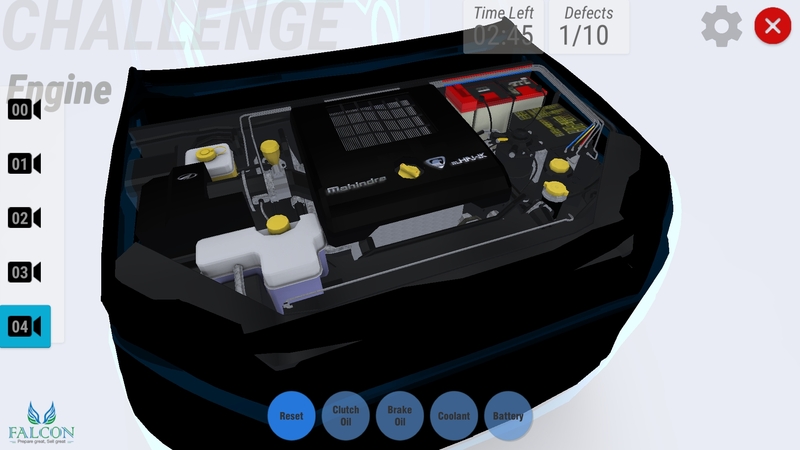 Each challenge level is aimed at different types of issue in the car. All challenges cover issues ranging from missing parts, car dents, color paint differences to rusty body parts, faulty car mechanism & even missing legal documents. Gamification is achieved by recording user time for finishing each level which is then used for Leaderboards. Application UX was designed in a way to make entire experience less daunting. 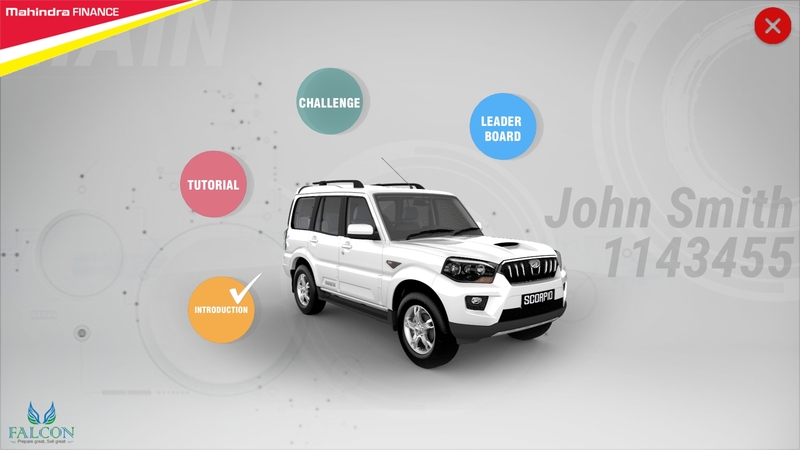 Strategic camera points & focus on each car part makes sure user has focussed area during the exploration. Placement of UI elements was done in a most ergonomically efficient manner considering it’s a mobile application running in landscape mode. This was built using Unity & Firebase.